MID-WEST, UNITED STATES — Within hours of South Korean news sources breaking a story that several Sang-Ho class submarines had disappeared from their North Korean bases, a ham radio operator named Tim, picked up a “numbers station” broadcasting on the same frequency as “The Voice of Korea” propaganda station. What makes this even more interesting is that at the tail end of the numbers transmission there was a long duration digital transmission as well.So why is this important and alarming? There are several reasons why this new development is particularly alarming. The first being the existence of the numbers station coming on line shortly after the submarines put to sea, but more importantly is the digital transmission apparently tacked onto the end of the transmission and the ramifications of that transmission. April 18 Announcement: The weather service has asked that the Spotter Class be re-scheduled due to the possible severe weather. The new date is May 16 6:00 PM at the Lock Two Park clubhouse. More information is on the SKYWARN Spotter Training Class page. A magnetic “solar heartbeat” beats deep in the sun’s interior, generating energy that leads to solar flares and sunspots, according to new research. A new supercomputer simulation, described in the April 4 edition of the journal Science, probes the sun’s periodic magnetic field reversals. Every 40 years, according to the model, the sun’s zonal magnetic field bands switch their orientation, or polarity. That cycle is about four times longer than the 11-year sunspot cycle that governs the level of solar activity. Being able to model such a regular, long-term process is remarkable, the scientists said. The new research, led by the University of Montreal’s Paul Charbonneau, describes work from both his research group and other, independent coalitions simulating the sun’s interior. The Information Net last week mentioned that the Government would be requiring doctors to ask anyone who is on Medicare if they own a gun. There was also mention of VA nurses asking three questions that could, if answered incorrectly, result in the loss of his/her concealed gun carry permit. Both of these have been proven to be untrue. In the former case, although some doctors (particularly pediatricians) may ask their patients whether they have guns at home, there is no provision of Medicare regulations that requires them to do so; it’s purely an individual initiative on the part of various doctors. The National Rifle Association’s Institute for Legislative Action (NRA-ILA) has also issued a statement regarding the latter case affecting veterans. I had to spent 10 days in the hospital for what should have been an overnight stay. I had a home nurse visits for two weeks and was asked if I had guns in the house. I respond that if I did I would not tell them. So the below has some merit. FYI, I am passing this along. There are comments from two other people I have also been asked if we keep guns in the house. The nurse just kinda slipped it in along with all the other regular questions. I told her I refused to answer because it was against the law to ask. 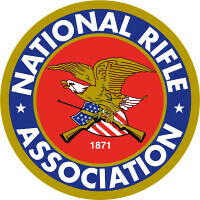 Everyone, whether you have guns or not, should give a neutral answer so they have no idea who does and who doesn’t. My doctor asked me if I had guns in my house and also if any were loaded. I, of course, answered yes to both questions Then he asked why I kept a loaded gun close to my bed. I answered that my son, who is a certified gun instructor and also works for Homeland Security, advised me that an unloaded, locked up gun is no protection against criminal attack. The Government now requires these questions be asked of people on Medicare, and probably everyone else. 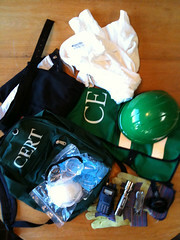 The Citizen Corps website and CERT web page have relocated to new homes. FEMA has consolidated all of its online content, including content currently on the Citizen Corps website, into two websites: FEMA.gov and Ready.gov. In addition to reducing costs, this website migration provides an opportunity to increase the visibility of our programs to an entirely new audience and to recruit new volunteers. The new website locations also give you easy access to more resources than ever and an updated look and feel for online content.